Hold onto your hats, this news is huge!! 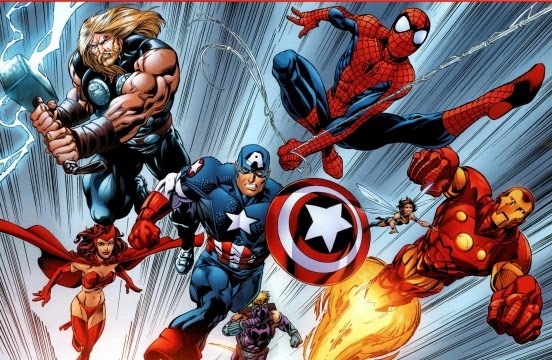 It's been something comic book fans have been wanting for a long time now and it seems their prayers have been answered, as Marvel Studios and Sony Entertainment have announced that Spider-Man's new home is the Marvel Cinematic Universe, with the two studios collaborating on a "new creative direction for the web slinger". This will see Spidey make an appearance in a Marvel Phase Three movie (the rumour mill will go into overdrive, but good money is on Captain America: Civil War, since he has a major role in the storyline in the comics), before going onto star in his own solo movie on July 28th 2017, one that Sony and Marvel will co-produce. Sony will still continue to finance, distribute, and have final control over the Spider-Man films, but the character will benefit greatly by being part of the greater Marvel whole. As Disney chairman and CEO, Bob Iger, put it, "Spider-Man is one of Marvel's great characters, beloved around the world. We're thrilled to work with Sony Pictures to bring the iconic web-slinger in the Marvel Cinematic Universe, which opens up fantastic new opportunities for storytelling and franchise building." The current Spider-Man, Andrew Garfield, is mentioned no where in the press release announcing this massive development, and, while Sony could surprise us, I think it's safe to assume that a second reboot of the character, with a new actor in the red and blue costume, is on the cards, and Sony's plans for a Spider-Man Cinematic, including Sinister Six and Venom spin-off's, will be put to one side. It makes perfect sense for Sony to go into this new venture with an entirely clean slate.